Explore Honduras' colonial towns and national parks with iCatracho Tours, offering tour guide services and personalized tourist transport. Travel from Tegucigalpa in a comfortable vehicle and take advantage of a range of outdoor adventures, from ziplining and bird-watching, to exploring the country's distinctive gastronomy and hiking. If you have more time for a longer vacation, consider a multi-day trip that can take you from Honduras' Mayan ruins to white-sand beaches, with lots of options to stay in cozy local accommodations and taste real Honduran food. 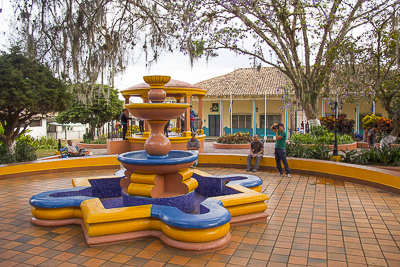 Choose to start, finish, or center your holiday on a trip to iCatracho Tours by using our Tegucigalpa online trip maker . Famous for its extension and depth with formations in its grottoes, but also because here is Shelter Bill Hanneman, the war veteran who hijacked a passenger plane of PANAMERICAN AIRWAYS in the United States, oblingando his pilots to fly to Honduras, Launched in parachutes in the vicinity of the Port of Tela, until being captured and delivered to the agents of the FBI and Bailiffs of the United States, who took him to judge and condemn him until serving his sentence. Excelente lugar mara caminar entre cultivos y respirar aire fresco. Excellent place mara walk between crops and breathe fresh air. Excelente atención y profesionalismo, dentro de poco vuelvo a viajar con ellos... Merecen un 100%. Excellent service and professionalism, shortly again to travel with them... You deserve 100%. Muy buenos paquetes, con precios accesibles y atención preferencial. Very good packages, with affordable prices and preferential attention. Every day, we help thousands of travelers plan great vacations. Here are some tips on how to use your Listing Page to attract more travelers to your business - iCatracho Tours. Promote your permanent link - https://www.inspirock.com/honduras/tegucigalpa/icatracho-tours-a5253612381 - on your website, your blog, and social media. When a traveler builds a plan from this page, the itinerary automatically includes iCatracho Tours. This is a great way for travelers looking for a great vacation in your city or country to also experience iCatracho Tours. Promoting your link also lets your audience know that you are featured on a rapidly growing travel site. In addition, the more this page is used, the more we will promote iCatracho Tours to other Inspirock users. For best results, use the customized Trip Planning Widget for iCatracho Tours on your website. It has all the advantages mentioned above, plus users to your site can conveniently access it directly on your site. Visitors to your site will appreciate you offering them help with planning their vacation. Setting this up takes just a few minutes - Click here for instructions.